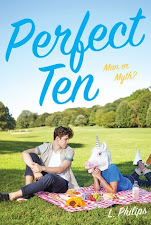 The Book Life: Meeting Trish Doller & the Something Like Normal Release Party + Giveaway! 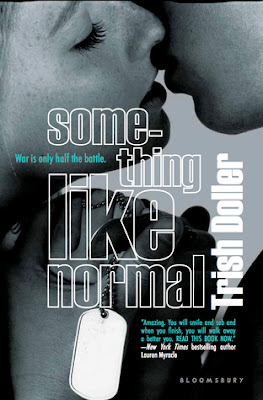 Meeting Trish Doller & the Something Like Normal Release Party + Giveaway! On Satuday my friends Shanon, Olivia, and I road tripped to Ft. Myers for the release party of Trish Doller's phenomonal book, Something Like Normal. We met up with Jenna and Nanci, and got some food before heading over the Barnes & Noble where the party was being held. Courtesy of of Tropical Storm Debby, we got pretty wet going to and from the car, but it just added to the road trip adventure. We got there early, but once they had the chairs set up and Trish arrived we all got to sit and chat for a bit before the party officially started. Trish is so cool and it was a blast just hanging out and talking with her. They had a table set up for her to sit behind, but she decided she'd rather sit on the table, which made everything feel so much less formal and just a fun experience. She also told us a lot about a Marine that helped her throughout her writing process. She said she couldn't have finished the book without him and I think it's really cool how close of friends they've become. She also revealed what Harper's tattoo is and it is really cool! We also got a small snippet from the project she is currently working on and I'm sure it's going to be an awesome story. 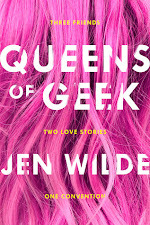 It's not a book yet, though, so we'll have to wait for that one. She read some awesome excerpts from the book, and talked about Charlie and how she really wanted to make sure he was a character in the story, even though he is dead. If you haven't read it, Charlie had so much personality and definitely brings a lot to Travis' story. Then it was time to get our books signed! And of course take pictures! Thanks for coming all that way just to see me! It was SO nice to meet you. Thanx for hosting a giveaway! LoL, Trish licking Catching Jordan by Miranda Kenneally. Thank you for the giveaway too, Sarah. Great coverage! I really need to send you the pics I took of Trish with Miranda Kenneally's book! ;) I'll do that tonight, along with the other photos! WOW sounds like you had a lot of fun. I LOVE going to author launch party events, they're my fav. I've only ever been to two though, One for Victoria Schwab's Near Witch and then for Myra McEntire's Timepiece. Thanks so much for the giveaway too. I've heard such incredible things about Something Like Normal. Oh, that looks like such a blast! I would've loved to be there. Oh, and Catching Jordan is wonderful.